I'll show you quick and easy ways to make your Halloween treats at home. Let's make this Halloween a "high fructose corn syrup - free" zone, and maybe even add some healthy ingredients to your Halloween treats! Heat coconut milk in a small saucepan over medium heat until hot and simmering but not boiling. Stir in raw cacao or cocoa powder, coconut sugar, cinnamon, and vanilla. Stir mixture until smooth. Place chia seeds into a high speed blender or a spice grinder and pulse until they turn into powder. 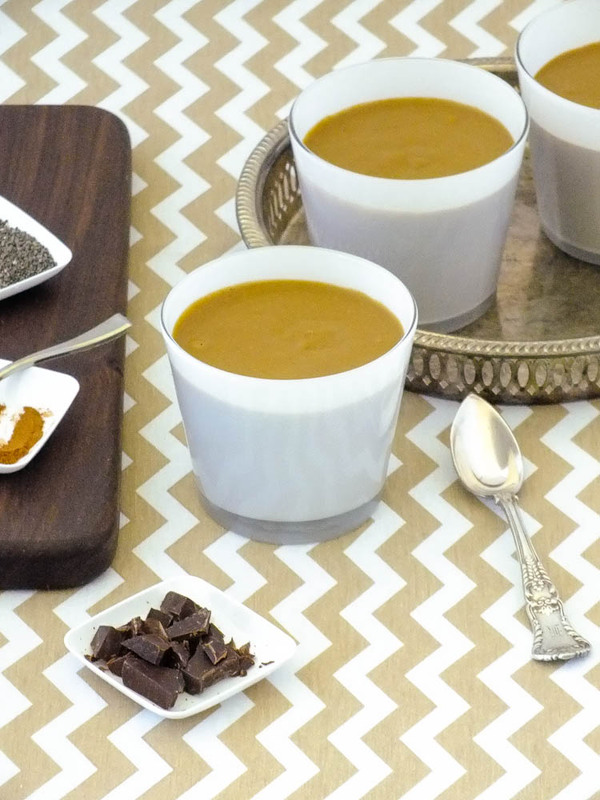 Pour coconut milk into blender with the chia seed powder, and add pumpkin puree. Blend until smooth and creamy. Taste and add additional sweetener to taste if needed. 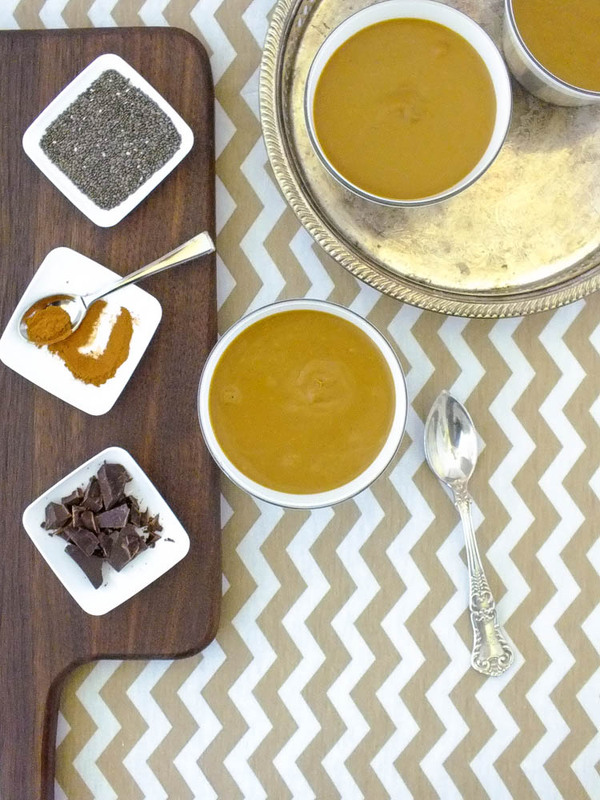 Pour chia chocolate pumpkin mousse into a heatproof container and refrigerate overnight. Once the mousse is chilled, serve topped with the melted chocolate bar + nuts of choice or homemade whip cream. Mousse lasts for 1 week covered in the refrigerator. CHECK OUT THE REST OF OUR HOMEMADE HALLOWEEN SERIES!